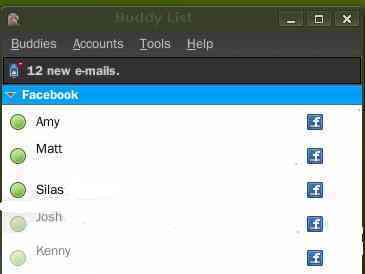 Now that facebook has Chat on there website, everyone has to log onto facebook to see who there friends are. Well if you want facebook chat on the desktop currently its not possiable without this pidgin plugin – But of course you have to install pidgin first. After using the plugin it seems to work most of the time, I had a few issue where it would crash Pidgin, and if you saved your password, and opened pidgin up again, you would get stuck into a open/crash loop. But now since I make it so I have to enter my password everytime, it seems to work fine, as long as facebook chat isnt down.